This is one of my favorite veggies! 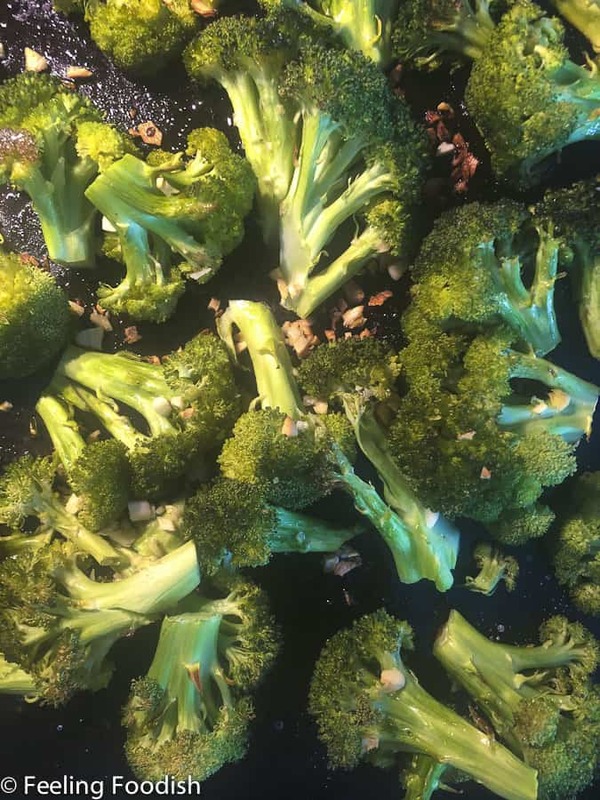 Roasted broccoli – this version has fresh garlic in it. 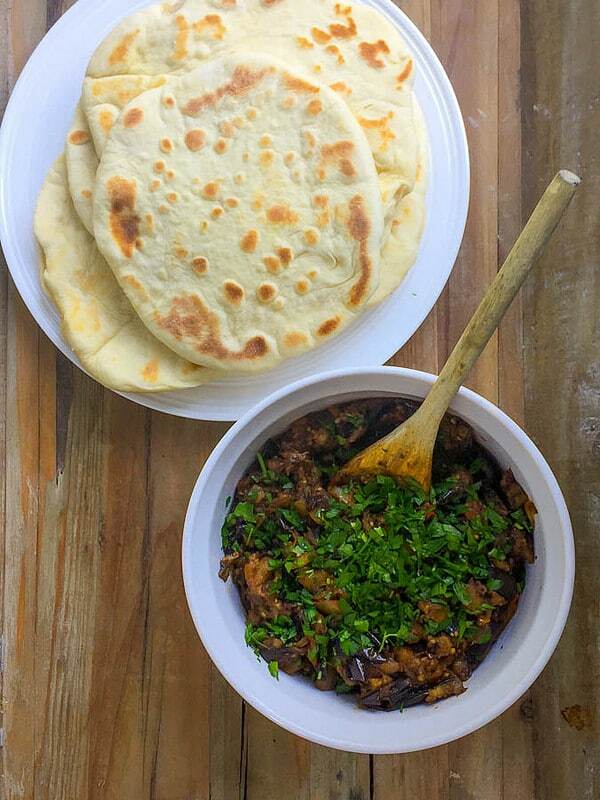 It’s soooo easy to make and it’s one veggie that my whole family likes (miracles do happen!). You can include the stems too in you like – I think they are just as good as the crowns (top part of the broccoli). I’ve also made this without fresh garlic (using just salt, and olive oil). The roasting really does add a great flavor. This broccoli is ready in about 20 minutes! If you like your broccoli a little more cooked (this version is slightly crispy), just let it roast a bit longer. I think this would also be good with roasted garlic in place of fresh garlic. You probably won’t have leftovers, but if you do – use it to top salads, make a quiche, chop it and mix with morning eggs, or maybe even make some broccoli soup. An easy broccoli recipe using fresh garlic (optional), ready in 20 minutes! Just prior to placing broccoli in the oven, reduce temperature to 375 degrees. Roast broccoli for about 20 minutes, until tender but still crisp. 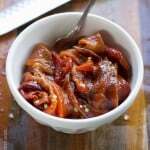 Italian long hots – but what kind of pepper are they anyway? Oh, I really love these peppers! These peppers are pretty popular in the Philadelphia area. Know simply as “Italian Long hots”, for years, I would wonder what type of pepper the Italian long hot peppers really were. 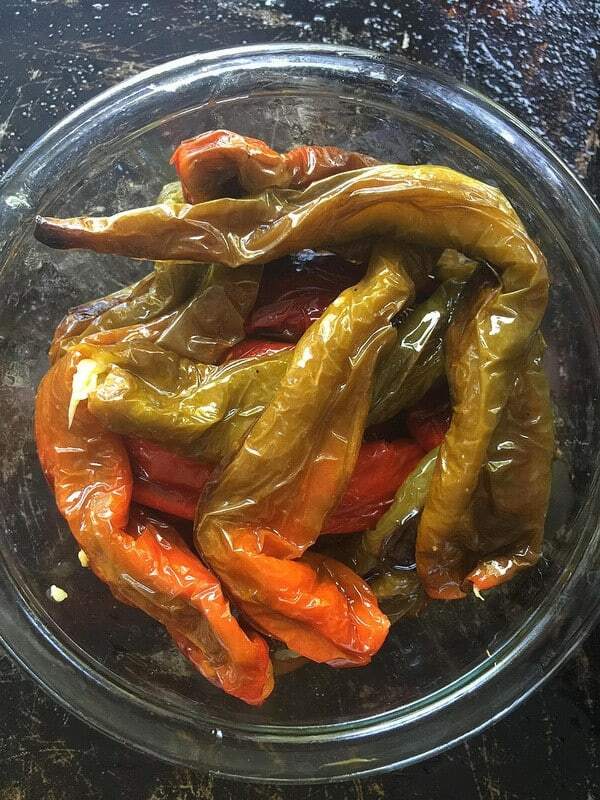 Then, one day, a few years ago, I was at my local store picking up some vegetable plants for my garden and I saw the answer: Italian long hots are called Mesilla peppers. Well, I thought I had the answer until a reader mentioned otherwise. 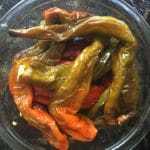 My assumption is that these peppers are a hybrid, some kind of cross between a mesilla pepper and another pepper. These are pretty easy to find at certain local stores but I’d imagine outside of the Philadelphia area, they might not be as easy to find. Growing them is super easy! They don’t require a lot of water, just plenty of sunshine. I bought two plants this year and they yielded about 2 dozen peppers each. So, it’s been said that eating Italian long hots is like playing Russian roulette because some are milder than others. That’s probably because Italian long hots are hybrid peppers. 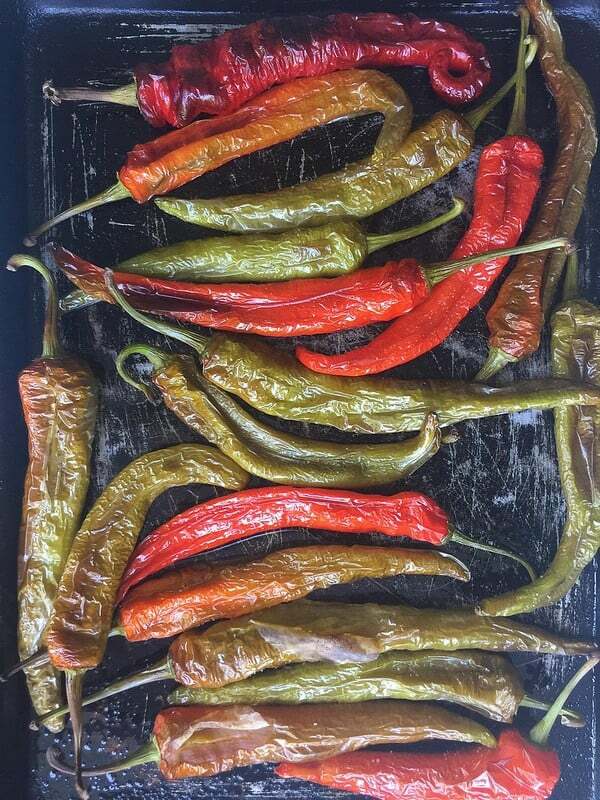 According to the Scoville heat index, the Mesilla peppers have a heat index of 4500, which is similar to that of Jalapeno peppers, and I’m not sure what the other pepper was used in the hybridization process (if it was even intentional, probably not). If you seed Jalapeno peppers, they are not that hot and the same holds true for Italian long hots (although this has also been challenged and it is said that seeding does not affect the heat index). 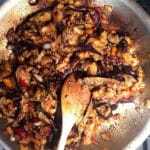 I usually cook long hots in a pan on top of the stove, using a little salt and olive oil. Pretty simple. 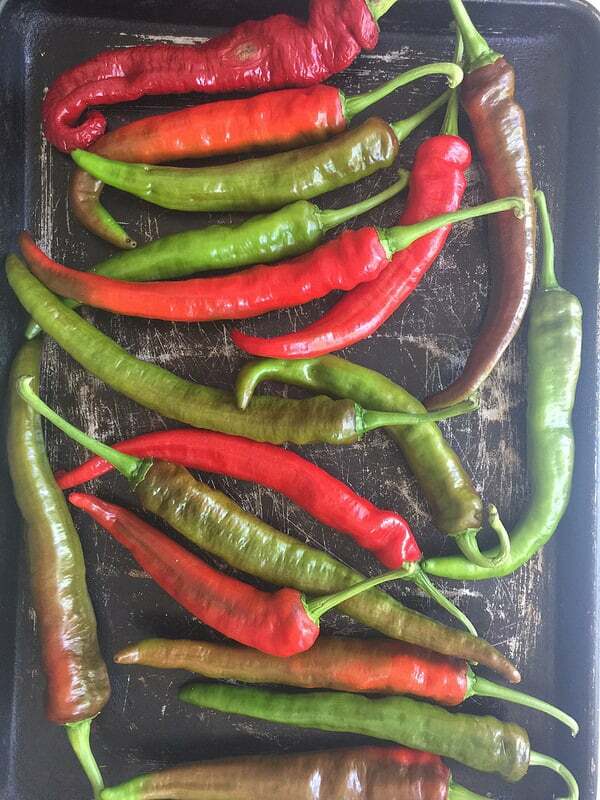 This time I opted to put the peppers in the oven after drizzling with olive oil and salt. Easy! Serve long hots with bread and cheese, or (my preference) as a topping to your favorite sandwich. My favorite way to eat these is stuffed in a veggie hoagie (roasted eggplant, roasted red peppers, broccoli rabe and provolone cheese). They are also good on roast beef or roast pork sandwiches. I just returned from a short trip to NY. Now, if you’re like me, the thought of NY brings up thoughts of bagels, black and white cookies, the crumb cake, the cheesecake, and so on. Frankly, I didn’t have enough room…or time. It was only a 2-day trip, and most of it was spent painting. Fun! Funnier still was that I entertained the idea, although fleetingly, of moving to NY so that I could eat these things more regularly. Oh the food! But listen, the local eats around here aren’t too shabby so I’m not going to complain. Enough talk about carb overload, let’s talk veggies. 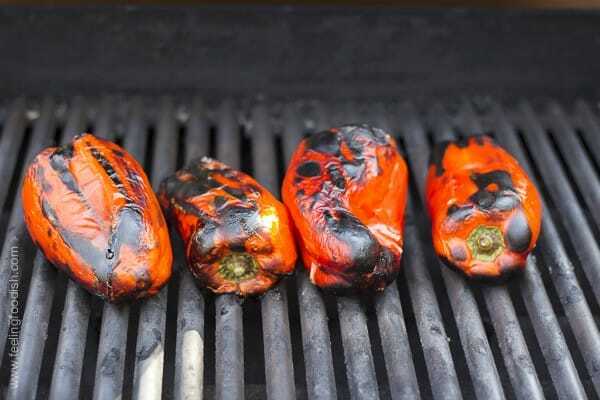 Another of my favorite vegetables: roasted peppers. Ohhhhh, how I love these things. Now listen, if you have ever had red peppers out of a jar, you must try these because they are two totally different things that do not taste anything alike if you ask me. 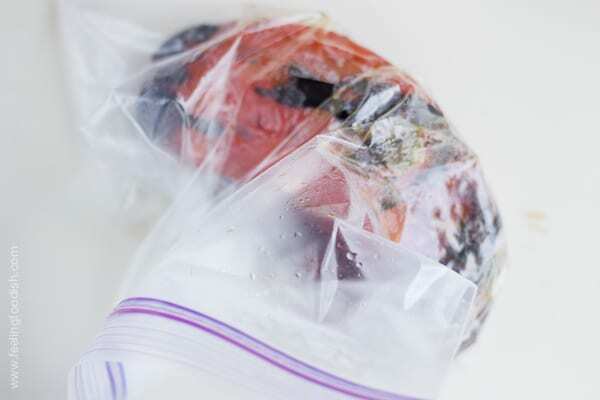 After grilling for a total of 12 to 14 minutes (turning them in between), you place them in a plastic bag for about 20 minutes to finish steaming and to help loosen the skin for peeling. After the peppers are cool enough to handle, gently rub the skin off, cut the stems off, and scrape away the seeds. 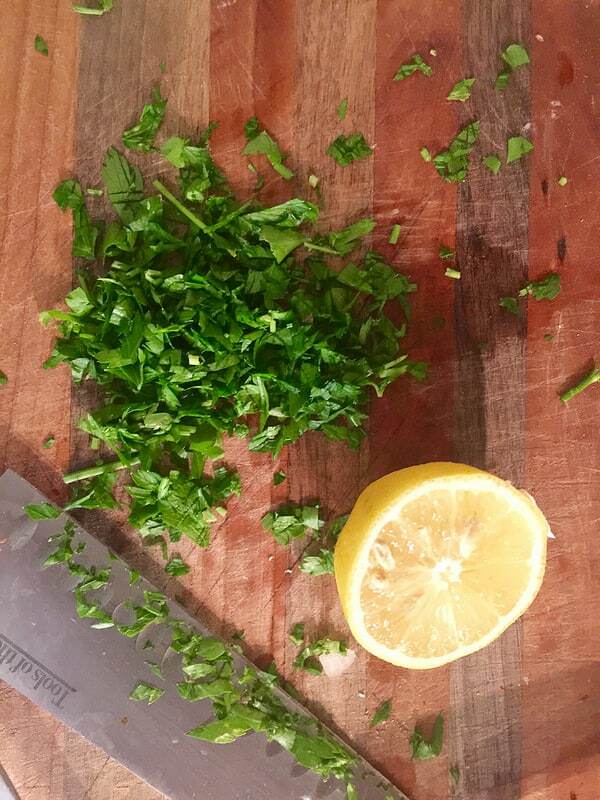 Then slice, and season with olive oil, garlic, and salt. We enjoy these as is, or with bread and provolone cheese as an appetizer. They are also amazing mixed with scrambled eggs (pepper and egg sandwich) or in a panini. 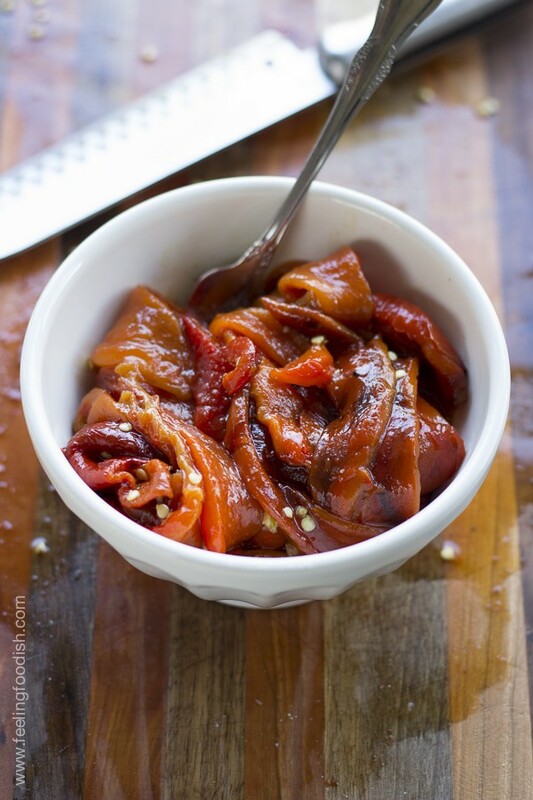 roasted red peppers are an easy appetizer, side dish, or the perfect addition to a panini or omelette. When cool enough to handle, gently rub the skins off and then destem and remove seed. 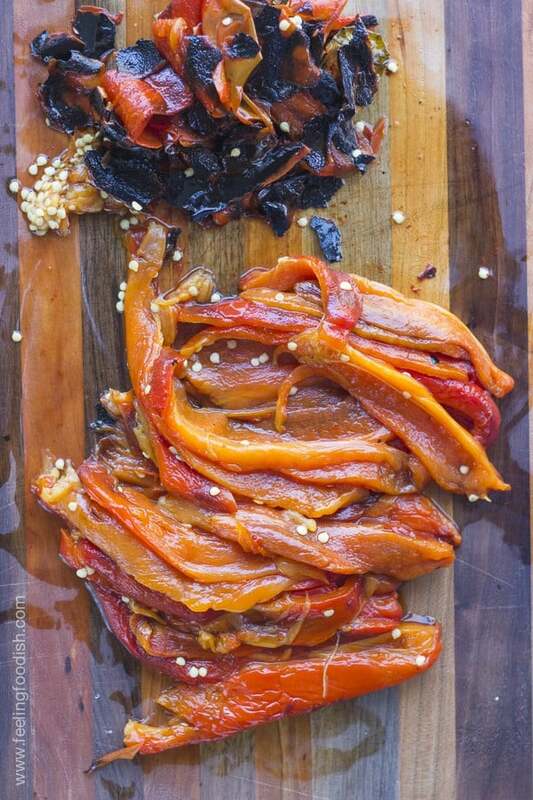 Slice the peppers and toss with olive oil, garlic, and salt. This is my favorite Thanksgiving side dish. 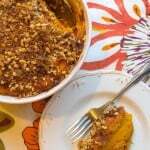 I’ve always loved sweet potatoes! This version feels much less sinful. In fact, I’d dare to say that it’s fairly healthy. 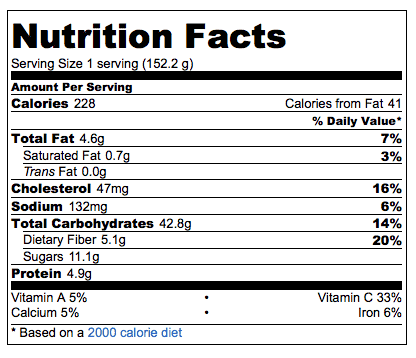 It’s high in potassium and vitamin C and also has a good amount of fiber. 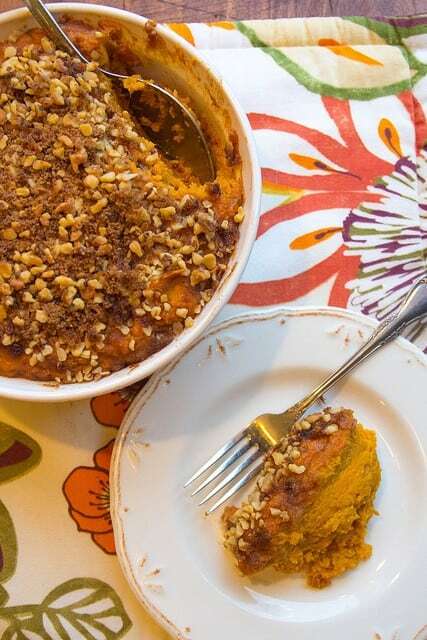 The typical sweet potato souffle often taste more like a dessert than a side dish (I know, I know – that’s tempting isn’t it?). But really, I don’t think you’ll miss the extra sugar or the butter (this version has none)! For the first time ever, I planted a small garden this year. And yes, zucchini was one of the vegetables that I planted along with cucumbers, eggplant, watermelon, and corn. And also tomatoes – but they are a fruit, right? Sadly, all in all, it wasn’t a great year for most vegetable gardeners in this area, as we had tons of rain this season and extreme temperature fluctuations were fairly common. My mother’s good friend, who is an expert gardener, did not have much luck with his vegetable garden, and so I know it wasn’t anything I did wrong. Back to the zucchini – since the plant produced so many zucchini, we enjoyed many different zucchini-based recipes this year including zucchini bread (chocolate this year! ), zucchini “noodle” salad, zucchini crisps, “mock” zucchini crab cakes, and zucchini with tomatoes. 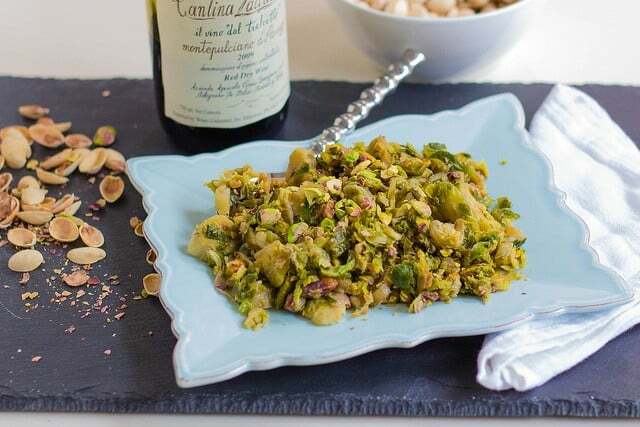 Who knew there were so many ways to eat zucchini? 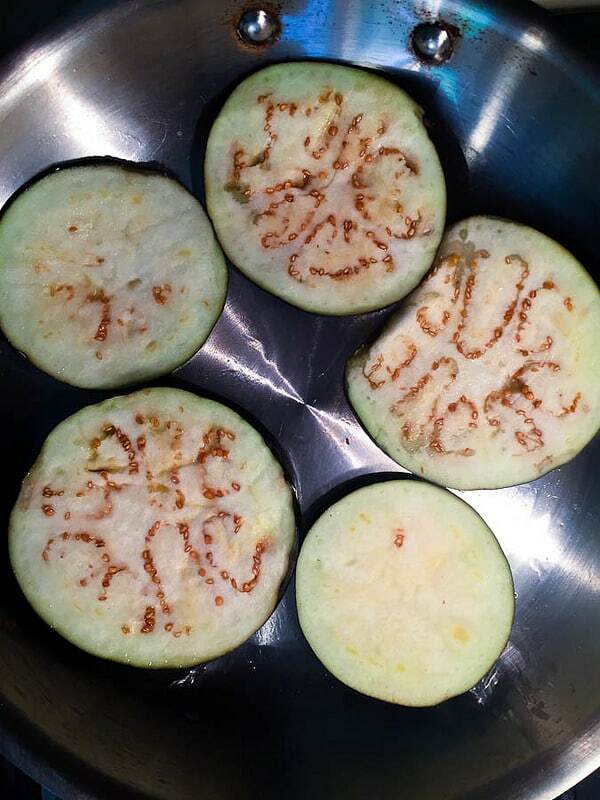 I think most people with zucchini in their gardens have a dozen or more recipes up their sleeves. 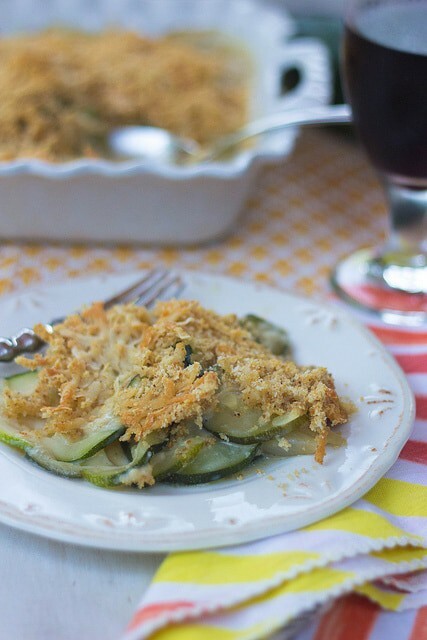 Most recently, I made this version of zucchini – how can you go wrong with anything gratin, I ask? It was a nice change from the typical zucchini dishes that I make. I loved the contrasting textures of crisp breadcrumb topping with the creamy sauce. The zucchini flavor is really enhanced by the addition of onion. And the cheese? Cheese makes everything better! 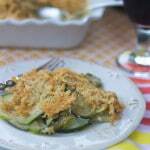 Try this creamy way of serving up zucchini - easy and delish! In a large dutch oven, melt butter over low temperature on stove top and then add onion. Add zucchini, cover, and cook for 10 additional minutes, stirring occasionally. 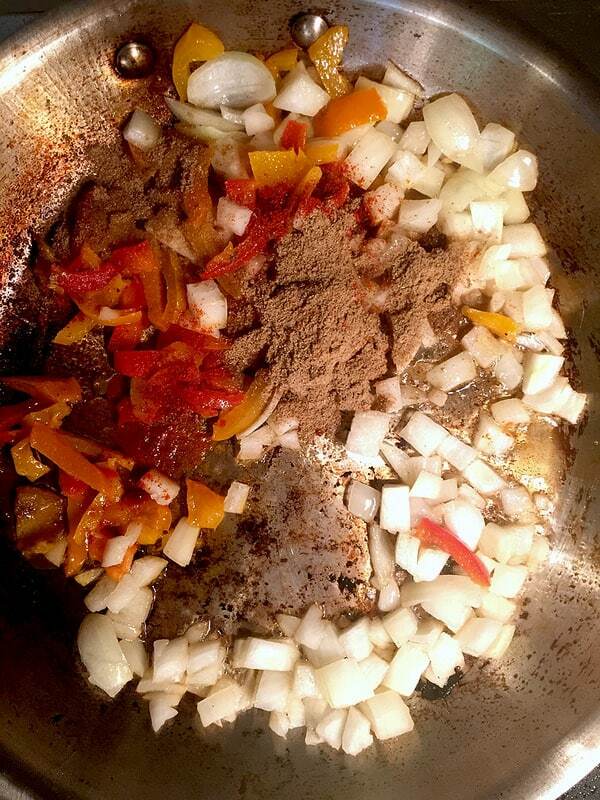 Add salt, pepper and nutmeg and stir to combine. Sprinkle flour over zucchini mixture and then slowly add milk and stir to combine. Cook for a few more minutes until thickened and then pour into a buttered 8 x 8 casserole dish. 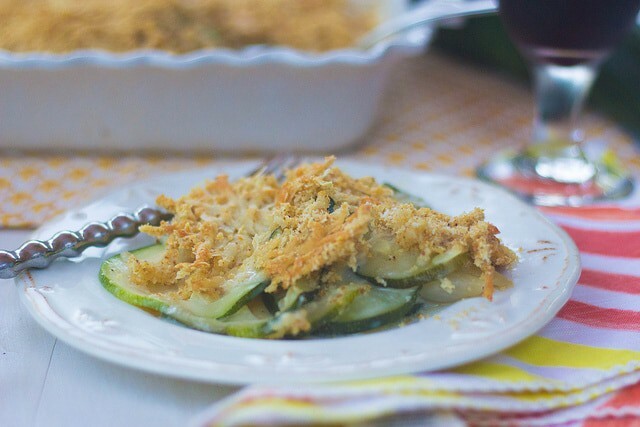 Combine cheese and breadcrumbs and use to top zucchini. Bake for about 20 minutes until golden brown. I guess you could say that I’m a brussel sprout convert. Although I grew up eating all kinds of vegetables, brussel sprouts weren’t one of those vegetables. 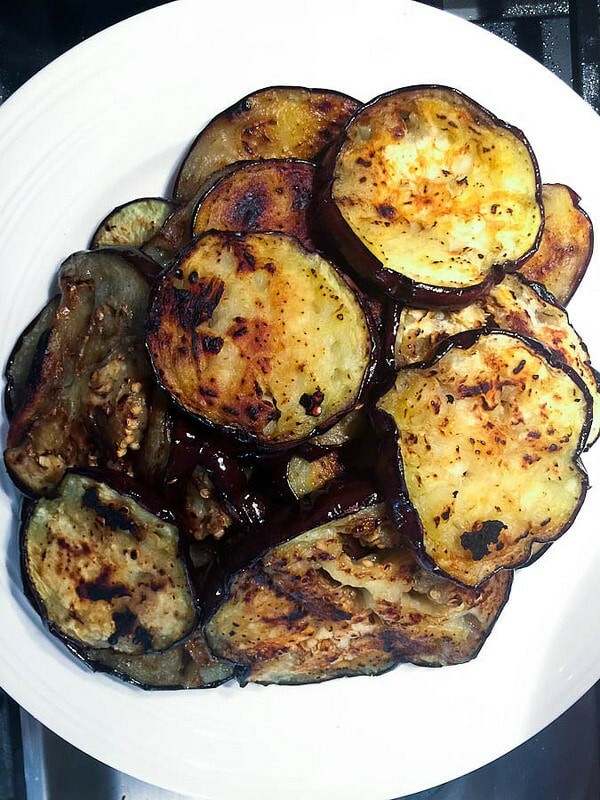 We had plenty of eggplant, zucchini, beans, artichokes, swiss chard, escarole – but never brussel sprouts. 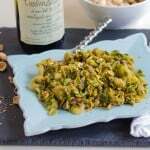 I wish I could say that I was immediately in love with brussel sprouts when I first tried them a few years ago – but, I wasn’t. Since then, I’ve had many versions which were very good. I’ve learned that preparation is key here. My cousin is here for a visit this month, from the Campagnia region of Italy, and I don’t think he ever saw brussel sprouts. Or maybe he didn’t recognize them since they were shredded? Speaking of my Italian cousin, it’s been a bit intimating to cook for him because the food there in Italy is. so. amazingly. good. And, his mother is an excellent cook. Thankfully, he seems to have genuinely enjoyed everything he has tried so far. I bought these pre-shredded sprouts at Trader Joe’s this week. They were cooking ribs and I tried their version of shaved sprouts sauteed with onion and crushed pistachio, which they were cooking and serving as samples. It smelled and tasted so incredible. I think the intense cabbage flavor is mellowed out a bit when they are shaved or cut and seasoned well. 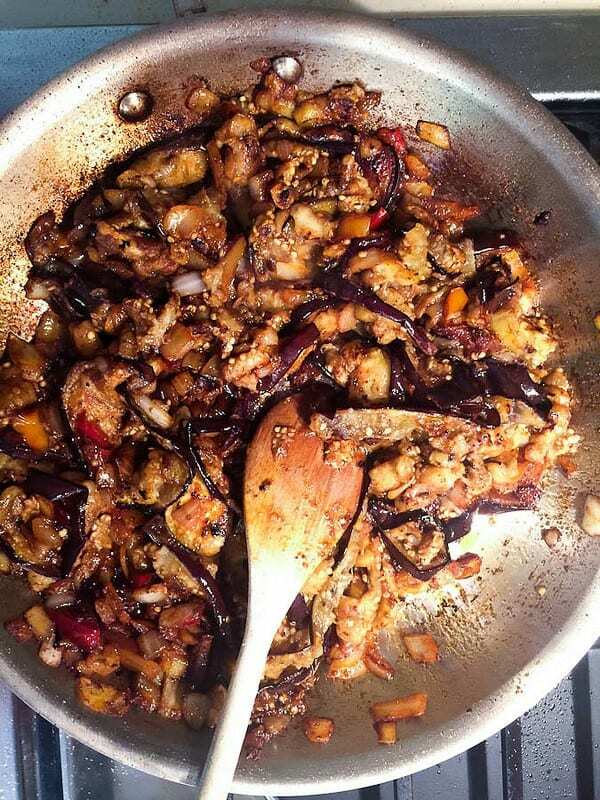 This is a very simple recipe, which is great when you need a healthy side dish. I’m always looking to expand my vegetable repertoire. Add sprouts to the pan, followed by chicken broth and cover pan. Cook covered for another 6 to 8 minutes and then top with pistachios and season with salt and pepper.